this siren a relatively simple project even for the most inexperienced installer. 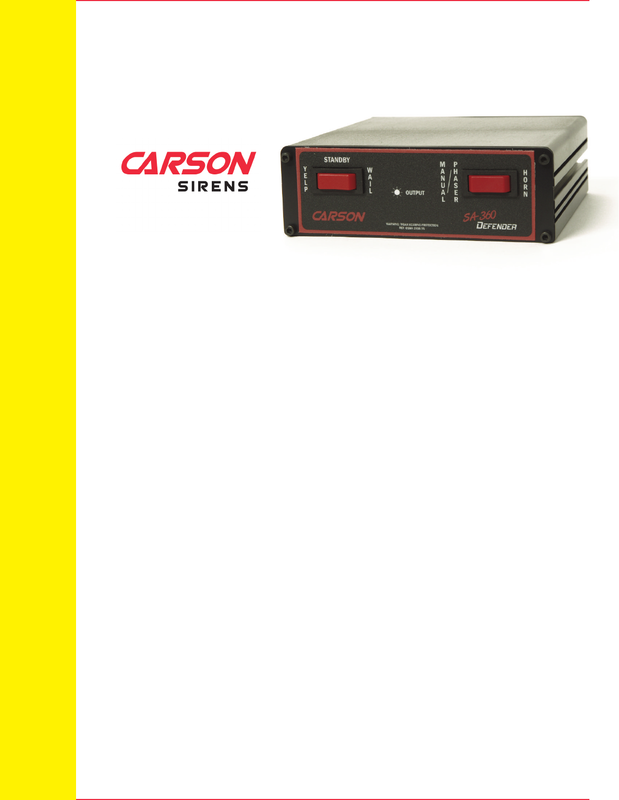 with the siren or external with the wiring and speaker should the system fail to produce a warning signal. allow all of the siren tones except Air Horn to be disabled to create an Air Horn Only siren. ring or other external switching for hands free tone selection during pursuit or rescue situations. offers greater heat dissipation and the mounting channels offer greater versatility in mounting depth.